This essay happened because I wrote one book that took place in WWII and a lot of people asked me how I did my research. Research is a broad term. But when writers talk about research, the word funnels into a vision of 3×5 cards, deliberate reading, and carefully-planned interviews. In truth, the hardest work you will ever doc in a good book is finding its shape, or to put it differently: The most difficult part of writing a book is finding the narrative arc. Traditional research becomes important to most fiction writers and some non-fiction writers as the shape and the arc of the book takes place. Traditional research happens through planned reading, interviews, talking to colleagues, and results in getting facts straight, including dates, chronology, spelling, and verifying events and scenes. Contrary to most thinking, this research is the easiest. But in most cases this research should come last and when it’s the first things writers do, they often gets stalled. When I’d written just one collection of short stories, I heard a woman’s voice from deep below the earth. She was blond, in her thirties, and lived in Germany during World War II. I saw her helping multi-lingual prisoners answer letters to the dead. I knew her name and could feel her claustrophobia. I also heard some of the letters. I wrote sixteen pages and stopped because I knew that this woman lived in a world with so many strands only a novel could do it justice. What I’d written were a few musical notes, surrounded by hours of silence. But I only knew how to write short fiction and put the sixteen pages away. I wrote other books, but the sixteen pages kept turning up in my studio, as if attached to springs. They turned up on the bookshelf. They turned up in a tax pile. They turned up under my printer. They even turned up inside a flyer from my son’s school—a long flyer, pleading for ecologically packed lunches. They began to feel like the woman’s voice, impatient to tell her story. The paper grew more brittle. I began to use a computer and the typewriter print looked ancient. Whenever the sixteen pages appeared, I felt drawn to them. But I never wrote another word. A few years ago, someone at a Christmas party told me that the philosopher Martin Heidegger had a revelation that was catalyzed by his own eyeglasses. As soon as I heard this, I saw the title Heidegger’s Glasses and knew I was going to write a novel. I had no idea what it would be about, but was sure it involved World War II. At this point the sixteen pages stopped popping up until the exact day I received final galley proofs from the publisher. They’d hidden while I was writing, but reappeared—again on invisible springs. The few passages I’d written were the same as passages in the novel. I also found some details in time to add them to the galley. 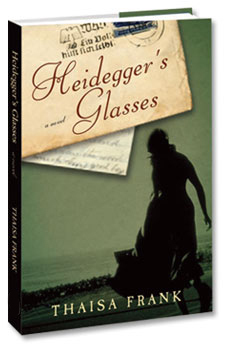 After I re-read the sixteen pages, I realized they were a DNA of almost everything that became Heidegger’s Glasses. Through stumbling and research, I’d linked an imaginary world to real events in World War II. Writers often ask how I write, and in particular how I dovetailed writing and research when I wrote a book set in WWII. More than anything I emphasize I didn’t wait to do all the research until I began to write. I can’t emphasize enough how important this was and continues to be. If I’d waited until I decided I had all the facts or knew how the novel was going to play out, I would have sabotaged myself because I’d already done a lot of research without knowing it. 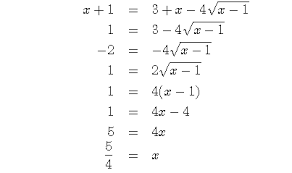 This is research that is random. One doesn’t know quite why one is visiting a particular place or reading about the Napoleonic wars. In my case, I did totally random reading about WWII–not really knowing why I was choosing some books or articles over others. Like someone going through a free-bin, I saw documentaries, read, looked at photographs and talked to people about Germany during WWII. In the process of very random reading, I discovered two obscure facts that gave the book its narrative arc. This helped me link a ghoulish procedure called Operation Briefaktion with The Reich’s interest in the occult. Stuff I already know There’s a whole category of things I’d call “stuff I ready know or stuff I know how to do,” whether it’s the history of graphic novels or how to make an omelet. To the extend that I plowed ahead in the novel anyway, what I already knew helped drive the novel. To the extend that I thought I knew less than I did, I hoodwinked myself. In may case, “stuff I already knew” included Heidegger’s Being and Time, which blew my mind after dry undergraduate work in philosophy of science. WBy the time I heard about Heidegger’s glasses at the Christmas party, he was a towering, enigmatic presence–someone whose mind had made me walk around New York in an altered state of consciousness for two weeks. I’d known Heidegger was a Nazi and often wondered how he could create a brilliant cosmology of being without an ethical system. “Stuff you already know, or know how to do” is often the unwitting catalyst for being interested in a particular topic. It’s something writers discount.But without my background in Heidegger, someone telling me a story at a party would have been nothing more than an entertaining moment. Unintentional research: I’d also done the kind of reading many writers do when they’re drawn to a subject before they know they’ll write about it. A few years after I wrote those sixteen pages, I felt compelled to read everything I could about World War II without knowing why. I was also drawn to books. For instance, one day when I went to a bookstore to get out of the rain, I found a book on the bookstore’s bargain table called. The Lodz Ghetto: Inside a Community Under Siege, published in 1991. Except for some photographs, The Lodz Ghetto consists of documents in chronological order. The documents detail the dissolution of Lodz, where 200,000 Jews were forced into slave labor before deportation to extermination camps. The documents alternate between coded diaries of prisoners and decrees from the Reich about food rations, round-ups and deportations. Many coded diaries were by writers enlisted by the Reich as official Scribes to praise life in the Lodz ghetto. A famous Austrian writer named Oskar Rosenfeld had an extraordinary depth of vision. His sensibility helped create an important character. The book had diaries of prisoners alternated with photocopies of the decrees, so I had the sense of being a prisoner in Lodz with other prisoners, crowded around the decrees, reading to discover what was going to happen to me next. Each decree tightened the vise and pointed toward the cremation of everyone in the Ghetto. 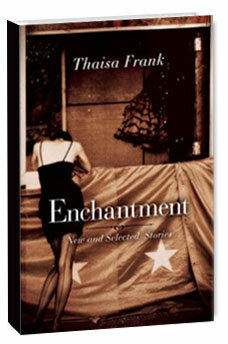 This gave the book a novelistic momentum and was the kind of serendipity that can come from unintentional research. All writers have things that happen to them that affect their interests and their research, although they may not know this until years later. One hot summer day, in New York City, I brought my broken typewriter to Stanley Adelman, who owned Osner’s Typewriter on Amsterdam Avenue. I was young, in a state of sheer panic about ending a relationship, and in no condition to understand anything about machines. Stanley Adelman could see I was frazzled and only wanted to drop off my typewriter. But he insisted on explaining and re-explaining every gear and wheel until he was sure I understood what was wrong. While he talked, I had the sense that he wouldn’t settle for anything less than absolute contact. His blue eyes were intense and telegraphed such an urgent demand that I understand, I began to listen until it was clear how a typewriter worked—a miracle since the mechanical world can elude me. From the periphery of my vision, I saw blue numbers on his arm. He must have been very young when he was at Auschwitz, but I could imagine he’d been in situations where he had to transmit and listen to information in a state of terror or near-terror (which is what I was feeling.) We became good friends and I got to know his wife. But he never told me that almost every published writer in the city brought him their typewriters: I found this out when I read his obituary in The New York Times. I’d already started the novel and we’d lost touch when I moved toCalifornia. As soon as I read about him I remembered him in detail and felt a kinship between his sensibility and that of Oskar Rosenfeld, the scribe in the Lodz Ghetto. The two of them merged into a character who became Heidegger’s optometrist and was sent to Auschwitz. More importantly, however, I realized that meeting him was the beginning of my interest in WWII, and it set me on a path. b. What, scenes, characters, dialogue, etc. have I already imagined? Do some appear in what seems like the middle or the end? c. Based on this, what scenes can I start to write? d. Have I written any of these scenes already? Sometime you know part of the story in advance. You may not know what comes before it, or after it. In addition to drawing on all the unwitting research I’ve mentioned, writing before I knew how the novel would play out also kept me focused. The focus led to botched scenes that got better with revision. It also led to the right books, the right informal conversations, and the right interviews. In Adagia, Wallace Steven’s phrases—the mind is part the weather and the imagination is the weather of the mind—aren’t presented as syllogisms. But it’s not much of a leap to say that the imagination is part of the world. That strikes me as a stunning miracle, because the imagination and consensual reality are always in conversation. This entry was posted in Uncategorized on August 13, 2016 by thaisafrank.